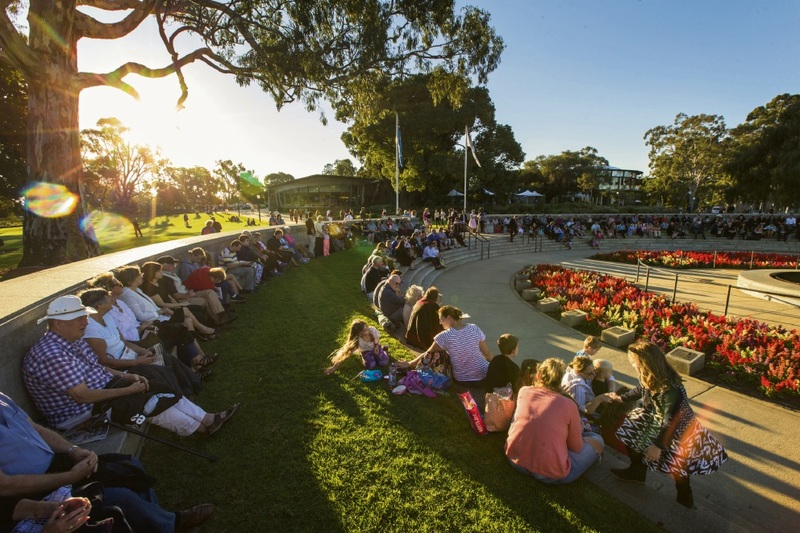 JOONDALUP Education Support Centre students are tuning their instruments and warming up their vocal cords before they hit the stage at the Rosemount Hotel this Saturday. 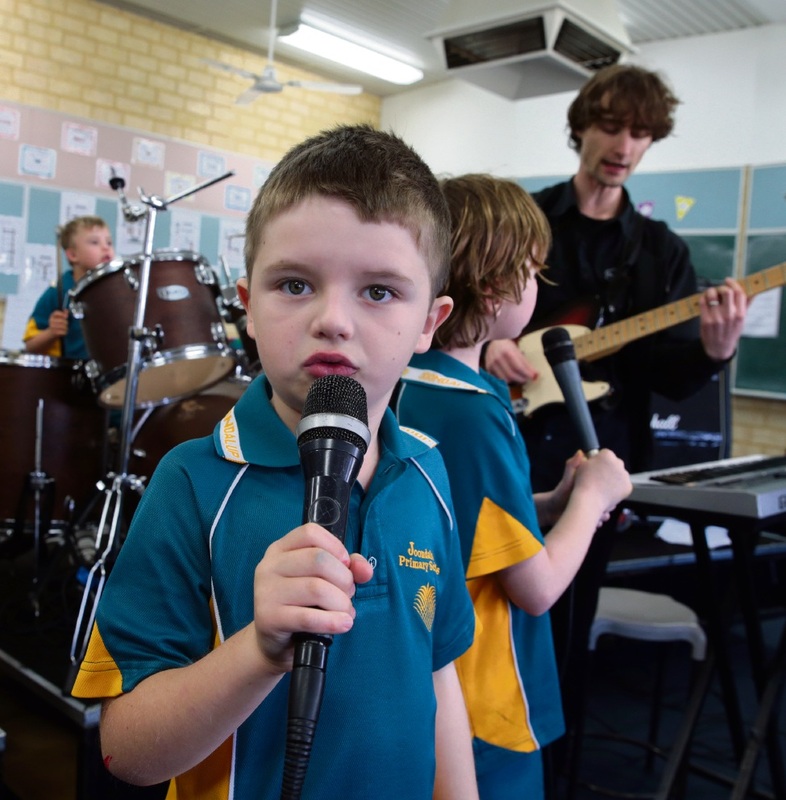 Six rock/pop bands from the school, made up of students aged six to 11 with special needs, will join 400 other children from across WA for the two-day Music Rocks the Rosemount concert. The students have been rehearsing weekly as part of their curriculum with the Music Rocks Australia ensemble program. Principal Natalie Burns said the school was “so excited” to be part of this initiative. “Music Rocks Australia has been working with our students for two years and we have seen wonderful growth and development in not only music skills and concepts but also huge growth in students’ social skills, confidence and resilience,” she said. 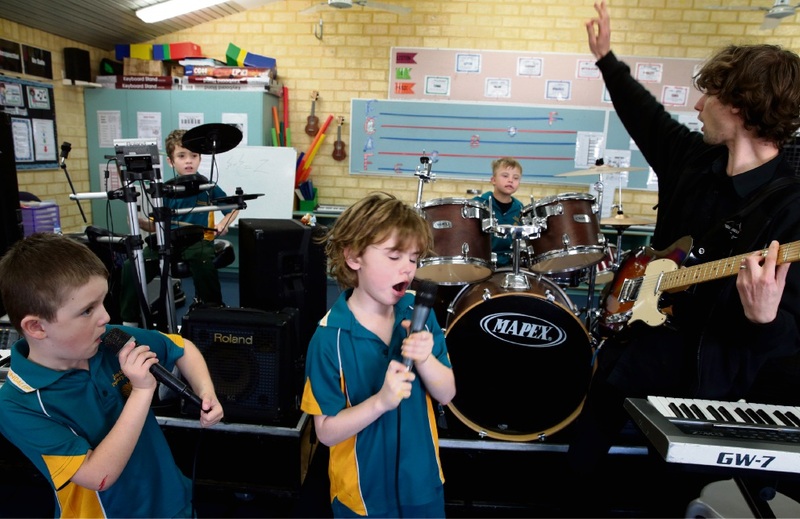 “Our school has a focus on performing arts and working with Music Rocks Australia is one strategy which supports students to overcome unique challenges and anxieties. 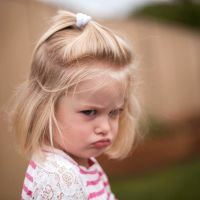 “Students have developed a love for music and together with Music Rocks Australia, we formally report individual progress through student reports. “Our reports are based on individual education plans and the team at Music Rocks creates outcomes and reports on student progress each semester. Six-year-old Wil Schwagermann, who has Down syndrome, has improved his concentration and focus. “I was so impressed that they just knew what Wil needed to find his confidence,” mum Nikki said. “These performances are just amazing. Music Rocks Australia founder Dean Blanchard said the young musicians highlighted that the range of difficulties and disability in their lives were “no obstacle for achieving amazing musical, social and personal results”. 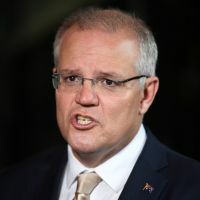 “To see our kids walk off stage 10-foot tall, the crowd ringing in their ears, having achieved something special in front of family, friends and peers, taking that confidence into the rest of their lives is what it is all about,” he said. 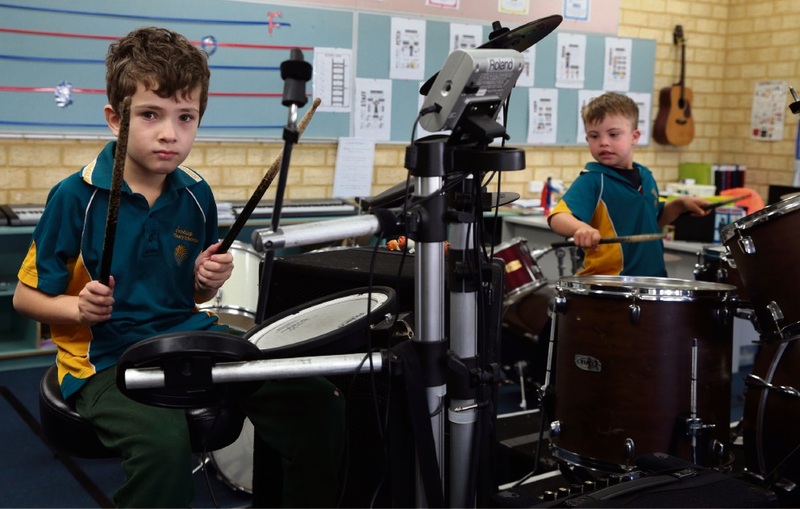 Founded in WA in 2006, Music Rocks Australia is a new system for teaching music where a band is the starting point rather than individual tuition, allowing children to choose their own songs and swap between the instruments. It encourages young people with special needs and those at risk to use music as a way of developing both personally and socially. Joondalup ESC students will perform in session one on Saturday, which starts from noon. More information and tickets at bit.ly/2sUnOM9.